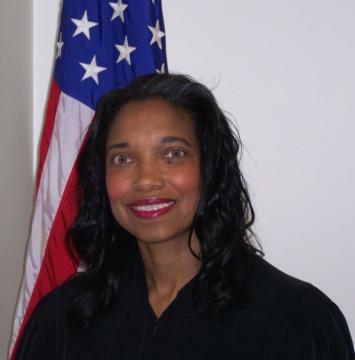 Hamilton County Commissioners are instructing County Facilities Director Ralph Linne to review Juvenile Judge Tracie Hunter's courtroom and make upgrade recommendations. Commissioner Greg Hartmann says, "Let's have Ralph (Linne) take a look and see if he can come up with what he thinks should be done to upgrade the courtroom and submit that to the judge and if she approves, go forward. I don't think it needs to be any more complicated than that. But we do need to have the judge sign-off on what we're going to do... This is a separate branch of government. We can't go start doing a bunch of work in judges' courtrooms without their approval." Commissioner Todd Portune says it's clear Hunter's chambers are inadequate. "There is a standard that has been established because of what has been done (in other county courtrooms) that is legitimate and is appropriate and ought to be followed here," says Portune. This move comes two weeks after Hunter's supporters filled commission chambers demanding more respect for the Judge. They cited her substandard courtroom as one example of how she's being treated unfairly.